The document, made public more than 28 years after the event, describes injured girls being bayoneted, bodies being ground up by armoured vehicles and human remains being flushed into the sewers. Beijing, China: At least 10,000 people were killed in the Chinese army's crackdown on pro-democracy protesters in Beijing's Tiananmen Square in June 1989, according to a newly released British diplomatic cable that recounts the bloodshed in gruesome detail. "Minimum estimate of civilian dead 10,000," the then British ambassador Alan Donald said in the secret telegram to London seen by AFP at Britain's National Archives. The estimate, given on June 5, 1989, the day after the crackdown, is almost 10 times higher than that commonly accepted at the time of several hundred to more than a thousand dead. But experts questioned by AFP said the 10,000 figure seemed credible. Donald's account gives horrific details of the violence unleashed on the night of June 3-4, when the army entered Beijing to end seven weeks of protests on Tiananmen Square, the symbolic heart of Communist power. During their advance, armoured personnel carriers "opened fire on the crowd (both civilians and soldiers) before running over them in their APCs", wrote the ambassador. He said his source was a person who "was passing on information given him by a close friend who is currently a member of the State Council" -- the Chinese cabinet. He said the source had previously proved reliable "and was careful to separate fact from speculation and rumour". 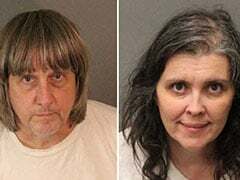 "Four wounded girl students begged for their lives but were bayoneted," Donald said, adding: "Army ambulances who attempted to give aid were shot up." 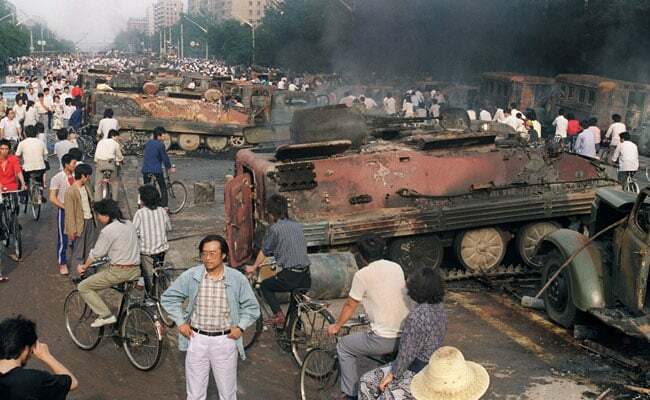 At the end of June 1989, the Chinese government had said suppression of the "counter-revolutionary riots" had killed 200 civilians and several dozen police and military. Donald said the atrocities were committed by the 27th Army, who he described as "60 percent illiterate and are called primitives". He said the crackdown had created deep rifts within the military and that "some members of the State Council considered that civil war is imminent". As to the credibility of the toll, former student protest leader Xiong Yan, who is now an American citizen, said: "I think it's reliable." The British ambassador's report was "not particularly astonishing considering how crowded it was in Beijing, the number of people mobilised" against the Chinese government, said Cabestan, who was in the Chinese capital in the days leading up to the crackdown.